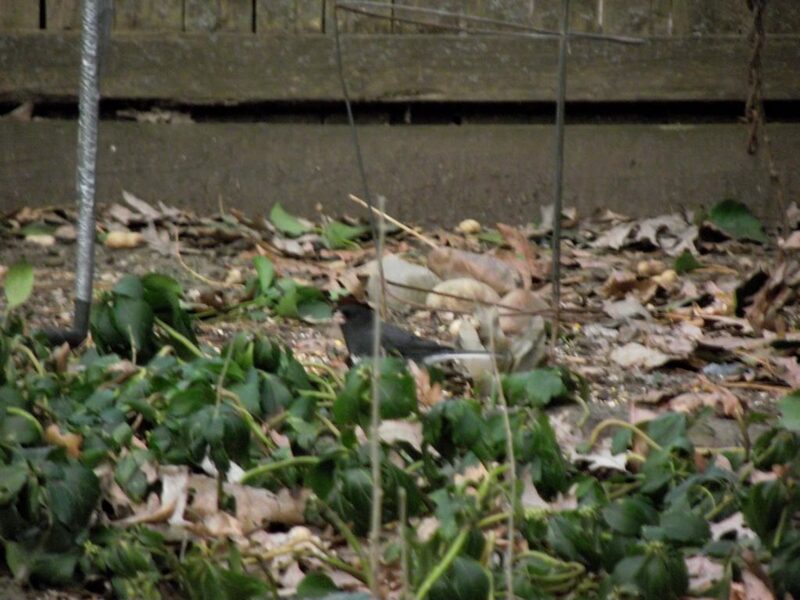 A member of the sparrow family, the dark-eyed junco’s color is distinctive, particularly the male of the species. 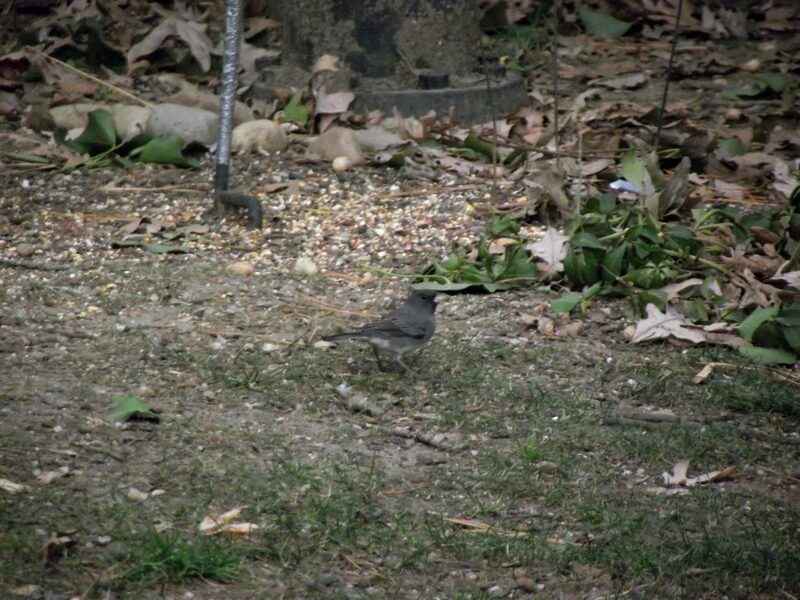 With its dark gray hood, slate color, and its white belly, it’s fairly easy to pick one out of a group of feeding birds if you’re paying attention. A fairly small bird, they can range in size from five to six and a half inches in length. An omnivore, seeds and berries are their major food source, but in the summer months they are know to supplement that diet with caterpillars, ants, moths, flies and beetles. Offering them a high protein diet at your feeders increases the amount of white, signaling to potential mates that they may be a good provider. 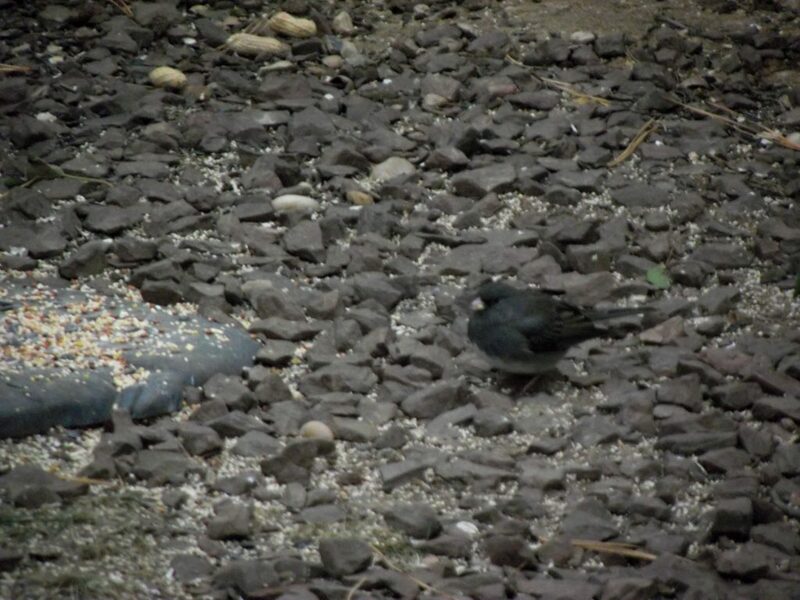 The Dark-eyed junco mates for life, producing two to three broods per season. 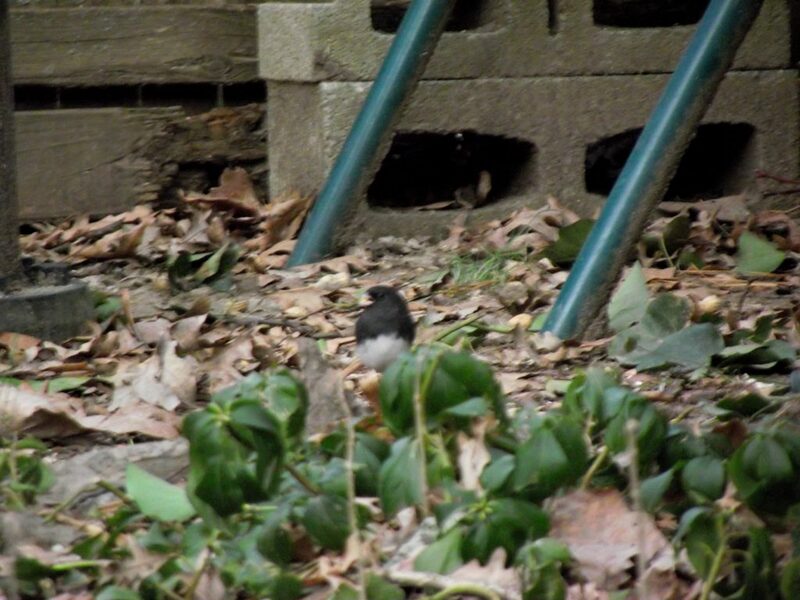 The junco can live three to eleven years in the wild. 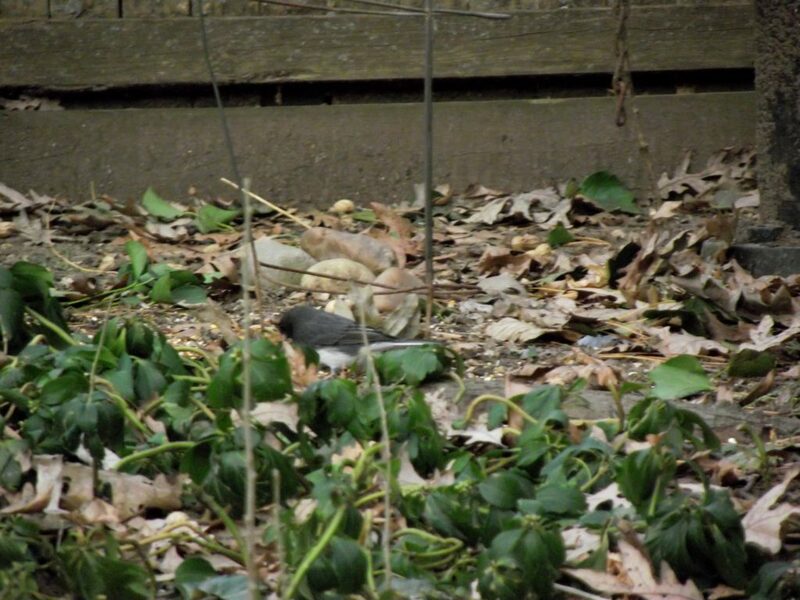 An interesting show of their intelligence – when juncos fly away, white outer tail feathers alert other birds of danger. 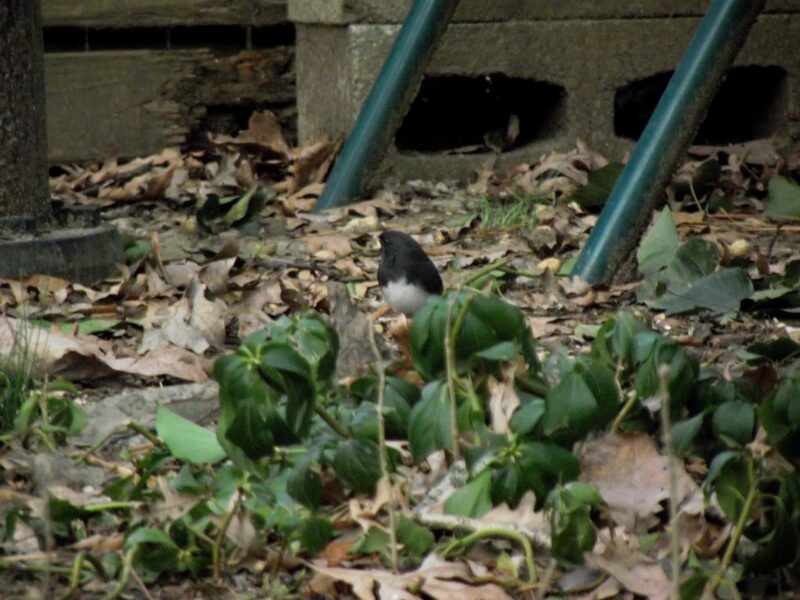 Though the junco is typically slate colored gray in the eastern part of the country, juncos can be bewildering with their number of variations. The western “Oregon”, as its called, has a blackish hood and a rust colored back. When in doubt as to whether you are looking at a junco, the common denominator in determining whether the bird is a junco will be the white outer tail feathers. The Dark-eyed junco is known to visit more feeders in North America than any other bird species, an almost guarantee that you will find one in your own backyard. Because they are considered a winter bird, this is the ideal time to go out and look for them, as they often show up just as winter weather is about to set in. Take a look at these amusing, dapper little creatures who roam about on the ground like “little gray-robed monks and nuns,” as ornithologist Florence Merriam Bailey wrote in 1899.